We have the proficiency target and the “I can” goals. Now we will skip to the end of the unit and create the assessment, aka Backward design. It is so important to know where they need to go before creating lesson plans. I’ve found that it also helps me to eliminate “busy work” and the students trust that I’m preparing them for their assessment. They are more motivated to participate because it is useful, not because of a grade. Greg Duncan and Thomas Sauer introduced me to performance assessments. Greg’s website explains it really well and has everything you will need. Give it a glance before more details. Let’s think through an assessment for our “survival unit” about class. What proficiency level are you targeting? What are the learning targets and goals? What skill and mode are you assessing? I like to have a few options, but some unit lean more toward specific ones. I think this unit is screaming for a interpersonal speaking assessment. I got the following one from unit 4 from our district. What is the scenario? What real life situation could apply? I try to avoid the “you are living with a host family…” because it does not connect to them right now. So maybe the situation could be about being in the office and hearing a family struggling to understand what is needed for class. Or a new student in their English class with Ms. Rice that is having trouble with classroom procedures. Or they work at Office Depot on Outer Loop (or just looking around) and a customer needs help. 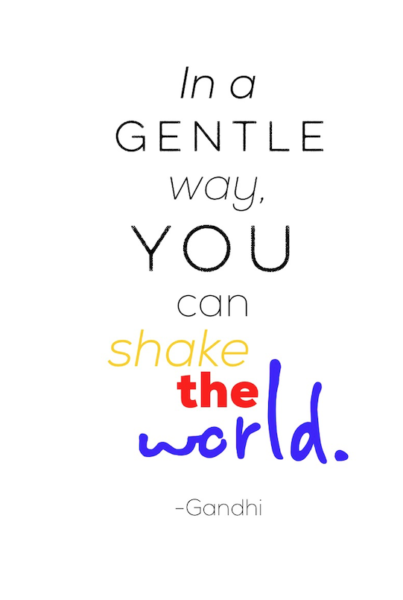 These situations are possible and make them feel like they are helping too. When writing the scenario, keep it short. 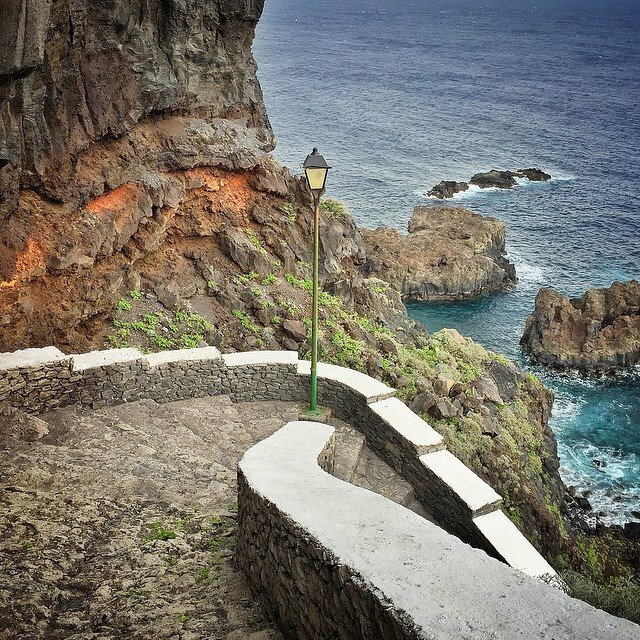 Add specific details to your community and a picture to give a personal touch. I am dealing with high schoolers and “clipboard learners” (tell me exactly what to do) so I like to rephrase it all to help them out. Sometimes I include graphic organizers and space to organizer their thoughts. The next step will be creating lesson plans so we will go back to our original “idea” format. I hope the Proficiency Path is a little clearer for you now. We would love to have some feedback, thoughts, opinions, and questions if you have any to share! “Like” if this was useful to you! Definitely a challenge! We tried to make our textbook teachers happy too. In a school with a large department, they found the performance assessments to be a happy compromise. Good luck! I want to say thank you very much for creating this amazing blog. It’s been a very helpful tool for me, especially now when I am about to start my first year as a middle school Spanish teacher here in Houston TX. 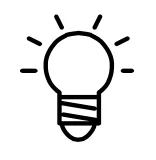 I look at your blog very often and I have now wonderful ideas that I would like to take to my classroom. I really appreciate all the time and effort that you put on this project. I always get really excited every time there is a new post from you here. I will definitely keep in contact with you throughout this blog. Thanks again Kara. Thank you and Good luck! This has been a long learning process for me (10 years actually) and I’m excited that you will be sharing with us. I have always been a “teacher’s manual user” adding my own activities, etc. But this gives me the courage to leave the textbook behind and dig into useful, authentic communication with at least my Grade 7s and 8s this year. You have provided me with ideas, links to the ideas of others, and great inspiration! Thank you. I have been sharing your resource with colleagues as well. We are French teachers in Ontario, Canada. How exciting! At times it can overwhelming when you first take that leap, but it is so worth it when you see your students smiling and excited to use the language. 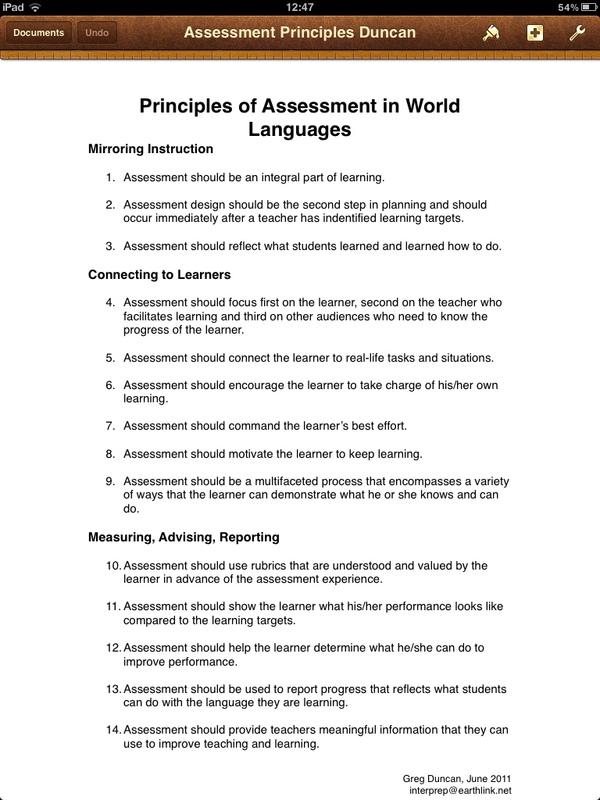 Where can I find more of the assessment examples from JCPS? What’s the website? Thanks! Thanks again for sharing this – I love the rubric you have for performance tasks. I’m just wondering how you use it- do you mark them in an overall manner and decide what column they are mostly in to determine their overall “grade” for each of the performance tasks? How do you use the section at the bottom with the control and task completions? My group of teachers is used to calculating “points” within a range to determine an overall grade and I’m just trying to figure out how I can use yours as en example. Wow, this is the direction our schools in Arlington are heading. We recently spent a week with Thomas and Greg. I learned a lot and believe the kids be more proficient in use of the language. I just completed my first year as a high school French teacher and am the only French teacher in my district. I’ve printed all of the JCPS documents for French and am trying to work through how I will map out the first unit. My biggest question/concern is where your sample assessment came from? Did you make it? Because the French JCPS units only have activities, but no assessments. And while I love that interpersonal speaking activity, is that the complete assessment? Or are there writing/reading portions? Sorry for all of the questions, but I am anxious to understand so that I can be prepared for school to start………….Oh, and by the way your blog is amazing and helps me keep calm and carry on when unit planning is overwhelming. Keep it up–I look forward to each and every post! Ok I can answer some of these. 🙂 There should be French, German and Spanish assessments for all units. I don’t think there are any activities on there, only assessments. I’ll check and see if that is true. The sample is from level 1A unit 4. It is short, that’s it. This is challenging for them, especially if they are not use to Q/A in the target language. Also you are the one testing them. If you have a large class, the shorter the better. There are speaking and wrinting assessments too; however, I usually only pick 2 skills to test. If they can write it, they can say it. No reason to test both. We have a few readings and listenings, but they are the end of course exams so they are kept hidden away until time to give them. I agree that they are needed and we are really lacking here. Remember that they don’t have to be long, so I usually throw 3 texts together, write a few questions (main idea and 2 detail for each) and that’s an assessment. I have a post called “How many grades?” that may help explain some of these details too. Did I answer everything?? Kara, thank you for your response…although now I feel REALLY silly for not having noticed the giant word “Assessment” at the top of those pdf documents. That problem is solved! Now I’m taking all of these fantastic documents and putting together daily lesson plans that will work for my classroom to prepare students for these assessments. 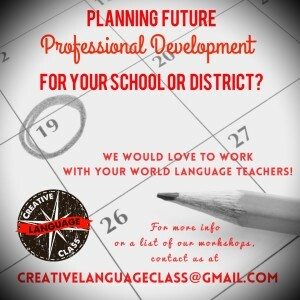 Your blog is fantastic, but I’m wondering if you know any French teachers in Jefferson Co. that could help me out with finding language-specific resources? Thank you for your quick and thorough response–loving the blog! I know a few. I know they are always looking for resources too. I’ll get them to post some. I may need to bribe them… What do French teachers like? hmm…. 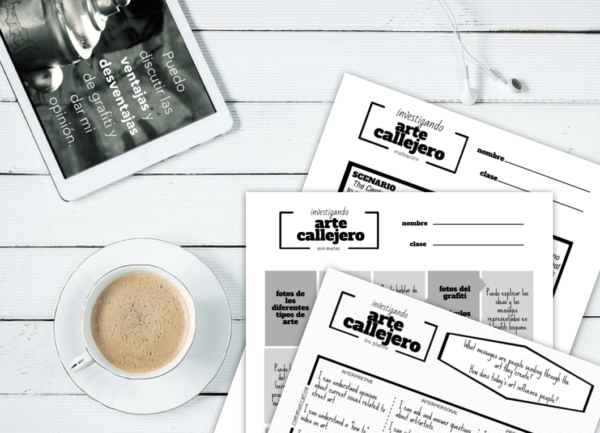 I am completely inspired and excited by this blog, so… ¡mil gracias! 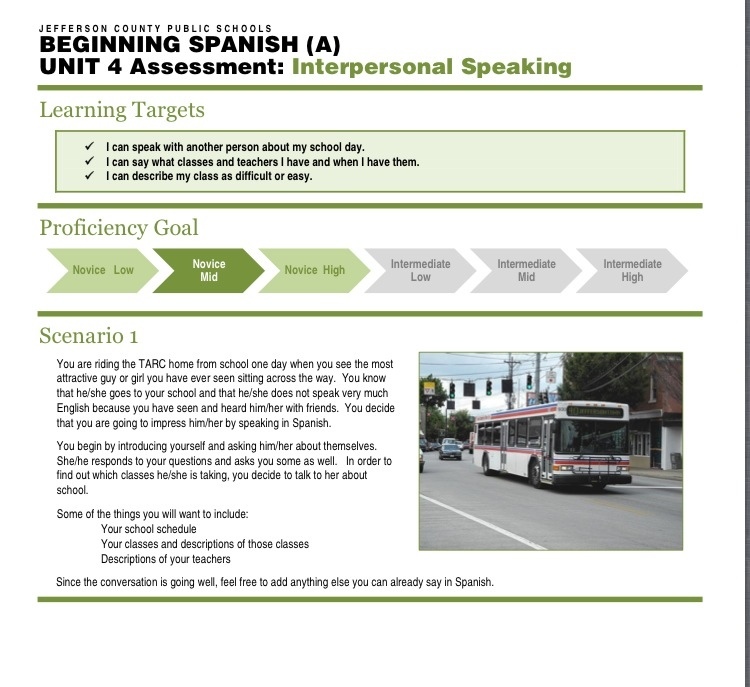 Una pregunta – do you give students the performance assessment scenarios at the beginning of the unit so they know exactly what they are working toward? Or do you build practice into your daily lesson plans so they are working toward performing well on the performance assessment but don’t know the exact scenario until they are being assessed? Welcome! We include tons of practice, and many look very similar, and parts are even taken straight from the assessments. I have done both ways (showing assessment beforehand and not) and can justify both ways. If it is a true real-life presentational task, they would be able to practice ahead of time. So they can have as much time as you want for them to practice it. When I want to measure their true proficiency, I give it as a “pop” assessment (no preview). Honestly though, they have practiced these parts so much in class, no one is unprepared, even if it is a new scenario. You can do it either way! Hi Kara, I really appreciate the inspiration! I was wondering if you could provide a snapshot of what your classroom looks like when you are giving an assessment? Do you pull each student aside individually? Are the others working on another activity? Are the kids quiet, as in the old school test days? Any details would be appreciated.